I’ve been watching recent video from the horrific wildfires in Gatlinburg, Tennessee. Friends of mine owned a home there, now destroyed by wildfire, and many other friends and acquaintances enjoyed the area during family vacations. As of this writing, there hasn’t been much relief in the way of rain to put an end to these firestorms. This video gives a vivid picture of how quickly these fires grew, as this man drives through them to safety. Wildfire safety is no easy matter, as I explain in this article. In a Facebook discussion about the video and the fires, a reader, Carolyn, commented on having a couple of items in the car to help deal with the heat and smoke. I began thinking along those lines and came up with this list of items, all on the small and inexpensive side, you should keep handy in your vehicle, especially if you live or travel in areas that are prone to fires or could become that way due to drought conditions. Driving through a fire like this is very, very dangerous. Smoke and fumes can quickly fill a vehicle and rubber tires can melt on the hot asphalt. As important as it is for all passengers to remain calm and with a face mask, even a wet bandana tied around the nose and mouth is better than nothing, it’s even more important that the driver be able to maintain his or her focus. Just as flight attendants instruct parents to first put on their own oxygen mask in case of an emergency, the driver of a vehicle must protect his or her own eyes and respiratory system, in particular. A Readi-Mask is one product that does both, is one-use only, and so compact it fits just about anywhere. Respirator masks are more bulky, range in price from quite reasonable to very expensive, and most will not include eye protection. However, a pair of swim goggles or tightly fitting shooting-range goggles work very well for this purpose. If the vehicle’s air circulation system begins to allow in too much smoke or fumes, you can close it down and use a small battery-powered fan to move air around. In the case of this video, the driver’s dog was beginning to show signs of overheating. Between the flow of air and water to drink, or squeezed with a cloth over an animal’s tongue, a pet will have a better chance of surviving the very hot environment. At one point in the video, it appears that the driver has to get out and move branches. Between eye protection, a respirator, heavy work gloves (this pair is also fire resistant), and a sharpened ax or hatchet, there’s a good chance this type of road clearing can be done quickly. However, again, the driver should remain in the best of health since the survival of the entire party depends on it, and the task of clearing a road may best be left in the hands of another able bodied adult. Many of the items typically carried in an emergency kit can help with wildfire survival, and those kits should already be packed somewhere safe in each vehicle you own. I prefer to make my own kit and assemble it from products I know are all high quality, but a Mombies bag, which I’ve owned for a few years now, is unbeatable for women. Otherwise, well-equipped bags like this one can be found online and in retail stores. Just be sure to check out all the items and add anything specific to your own family’s needs. Fires invariably darken the sky and turn daylight into night. A few LED flashlights are a necessity and can be used to signal rescuers, if necessary. At least one headlamp would allow you to use your hands and should also be included. Finally, be aware that elderly people, those with chronic health issues, and very young children and babies will have the most difficulty with breathing in conditions caused by a wildfire. Take time to insure you have well-fitting facemasks for them. They should spend some time wearing a face mask, even if it’s one that is a simple dust/particulate mask, to get used to the sensation. Many people feel suffocated wearing something over their nose and mouth, so it can take some getting used to. In the case of the Gatlinburg fires, a combination of multiple arson-set fires, dry conditions, and hurricane force winds combined to create a lethal scenario that caught even emergency responders by surprise. Typically, wildfires are tracked for hours and days, giving residents ample warning to evacuate to safety. However, as we’ve learned from similar fires in Israel, fire can be utilized as a weapon to destroy and terrorize. 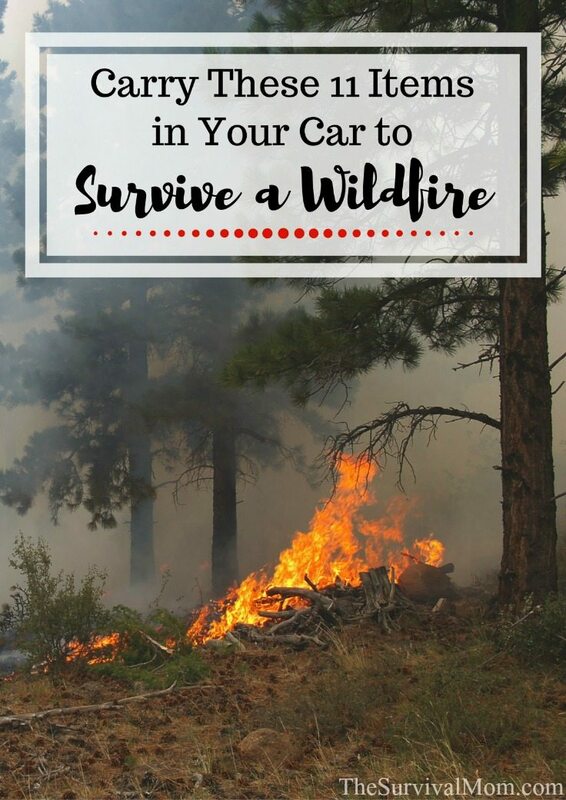 This article explains how wildfires can endanger your preps, your family, and your own life, and this book is a complete guide to planning and carrying out an emergency evacuation. If you find yourself driving anywhere near a wildfire, have the radio tuned to an emergency news broadcast. There are handy police scanner phone apps that will also keep you up to date, and the American Red Cross Wildfire app comes with active wildfire warnings and survival tips. 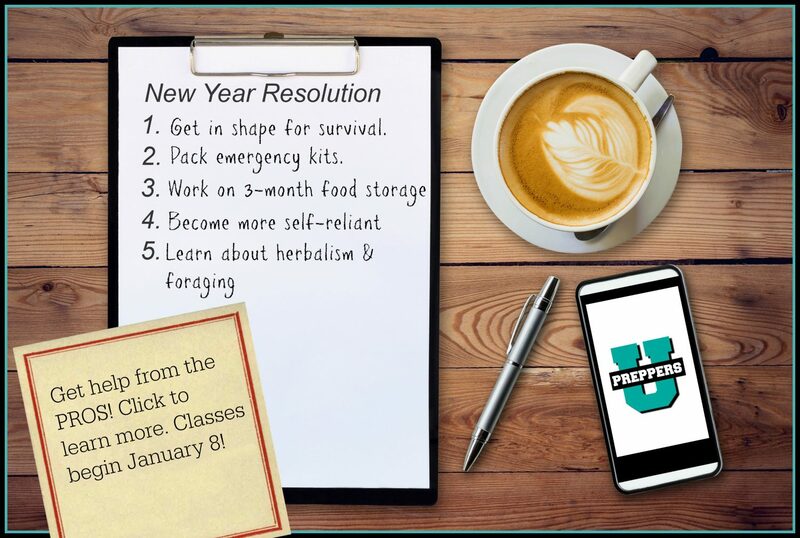 Not being at the wrong place at the wrong time is the best prep of all. This is a great list. As we evacuated in June due to the Erskine Creek wildfire in California, some of these items would have come in very handy had we left much later than we did. Hubby, dogs and I were able to leave our home before the evacuation notice was issued due to having go bags for all of us ready, and a prioritized checklist of “things to do/get”. Having those already done were invaluable in our rush to leave. 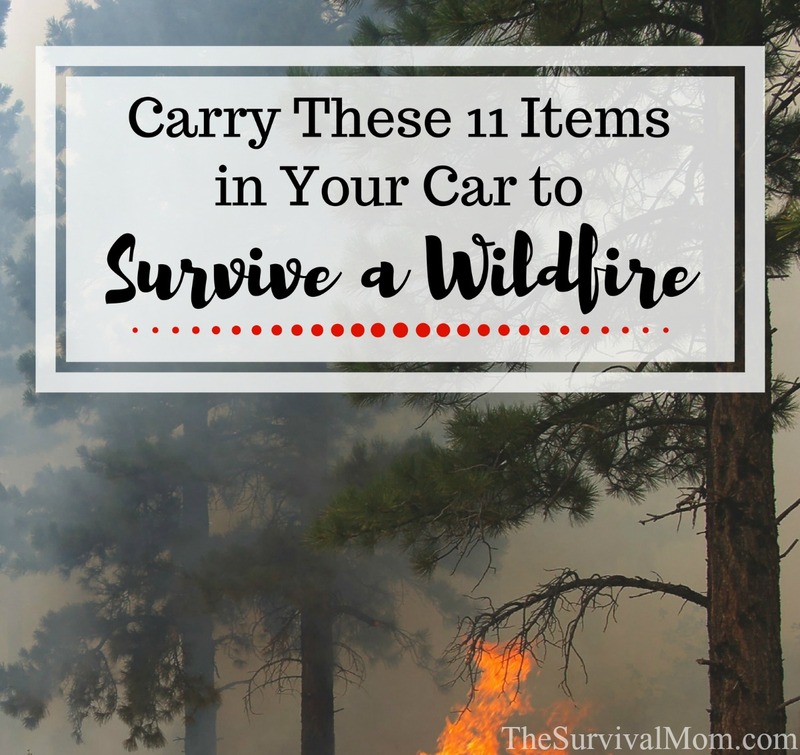 For those who don’t live in fire prone areas, but go there occasionally, drive through these types of areas or go camping, this would also be a great list of items for them to have. Thanks! It’s really bad in the Fraser Valley because of all the wildfires above us. I’m really having a hard time breathing – even in my house with the windows shut! What can I do to protect myself as soon as possible? I’m not able to purchase any supplies and would be grateful for any home remedies! I’ve got a wet bandana as a face mask and I’ve shut off the fan. They say it’s going to continue for at least a couple more days. Also, any suggestions for my big brown dog Lucky? I am not suggesting you don’t leave the vehicle to clear the road, just remember where that branch came from, above you, there might be more coming down. There could be powerlines down on the road or hanging low. Animals, domestic and wild, loose on the road. Other drivers on the road, preoccupied with watching the fire rather than driving.